Our Members Are So Talented! 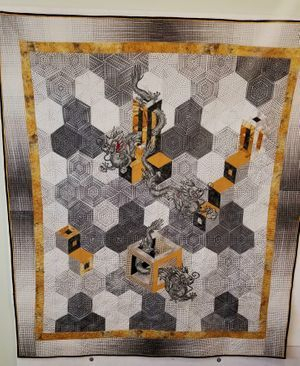 Pat Bilski received a First Place and a Second Place ribbon at Quiltfest in Pigeon Forge. Both quilts were quilted by Judy Egan. These gals make such a winning combination! 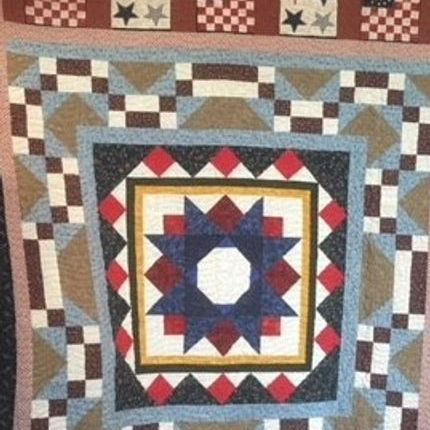 AQS has announced that the jury has accepted our guild members’ entries for further consideration in the 2018 AQS QuiltWeek® Contest in Grand Rapids, Michigan August 22 – 25, 2018. These Village Quilters Guild members are to be congratulated on their accomplishment. They made it into the Grand Rapid Show and competed in the AQS Challenge. Special Congratulations to Claudia Nicholson for being accepted as a semi-finalist for the September 2018 Paducah AQS. Lori Rorstad’s quilt titled "Flora Lia" will be displayed in the Full Bloom Exhibition at the Houston Quilt Show. 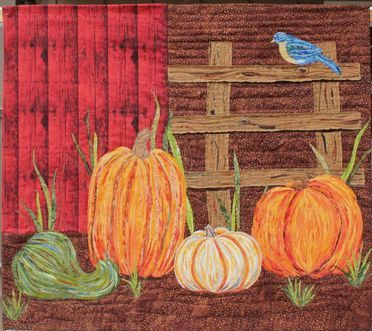 Joy Hancock's quilt titled "Mr Ayer's Pumpkin Patch" was juried into the Houston Quilt Show. Kahite Community of Tellico Village at the 2018 4th of July breakfast after the parade. We give thanks for all who served our country. Mamie Ringenbach, a member of our guild, just made her 800th walker bag! 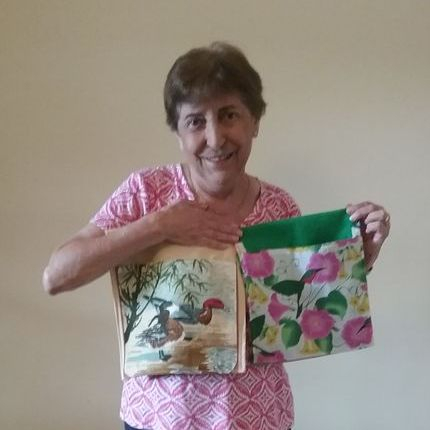 She makes these bags for assisted living and memory care facilities in East Tennessee. Her goal is to make 1,000 of these bags. 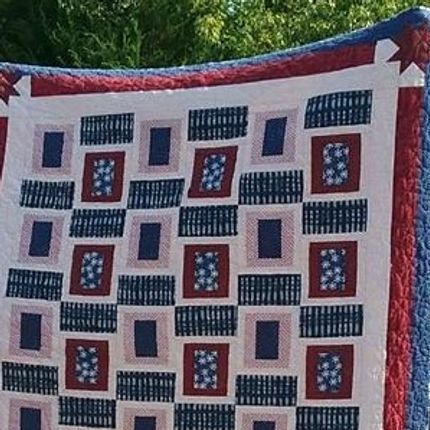 Helen Willis, past president of the Village Quilters, would like to thank everyone to helped her make this beautiful quilt titled "Moms & Babes". It was recently shown at Paducah. 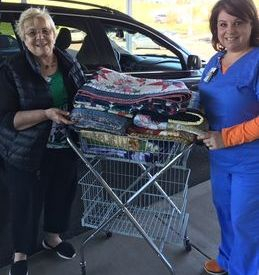 Leslie Ann Phillips delivered 10 Community Service Quilts to the University of Tennessee Cancer Institute. She is seen here presenting them to Heather (coordinator). The Newbies Bee made a quilt for the Carson Springs Retreat Center. It was a group effort, including Tom Kenney's lettering!